The release includes all newly-public data since April 2017 and updates to prior legacy data. 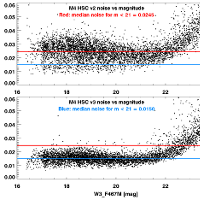 Since early 2016 (HST Cycle 24), the astronomical community has been offered a novel way of mining data from the UV spectrographs onboard HST through the Hubble Spectroscopic Legacy Archive (HSLA) on MAST. The HSLA provides quick-look spectra for individual COS/FUV exposures, co-added COS/FUV spectra, and individual calibrated COS/NUV exposures, all publicly-available in MAST. These data are packaged into 'smart archives' according to target type and scientific themes to facilitate the construction of archival samples for common science uses. We announce a new release of the HSLA. This release now contains COS/NUV co-added spectra along with all newly-public COS/FUV and COS/NUV spectra, individual and co-added, since April 2017. The COS/FUV co-added products now include LP3 and LP4, in addition to LP1 and LP2, with updated dispersion solutions. The COS/FUV blue modes (G130M/1055, 1096 and 1222) are also included in the HSLA co-added COS/FUV spectra. This release also captures the latest updates to the COS/FUV and COS/NUV reference files. In particular, this release of the HSLA was timed to inform proposers in preparation for the HST Cycle 26 call for proposals. The HSLA products are available on MAST, together with a description of their contents. Questions and feedback about the HSLA data products can be sent to hst_spec_legacy@stsci.edu. Additional questions on accessing HSLA data may be directed to the Archive Helpdesk. Version 3.0 of the Hubble Source Catalog adds improved astrometric and photometric measurements, and additional new sources. Figure 1. 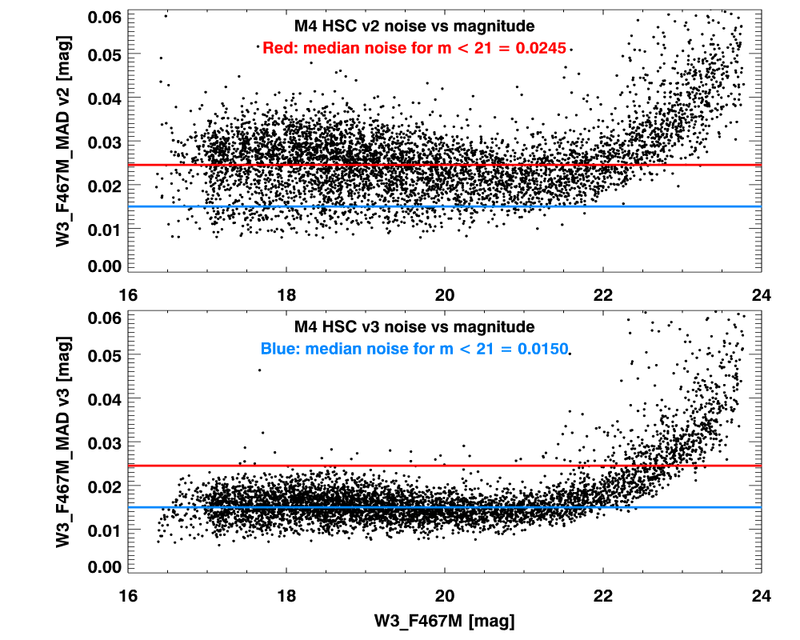 Comparison of noise as a function of magnitude in globular cluster M4 for HSCv2 (top) and HSCv3 (bottom). The plot includes 5300 objects that have more than 50 measurements in the W3_F467M filter. This field was affected by image alignment problems that have been corrected in HSCv3. The result is much-improved photometry. Figure 2. 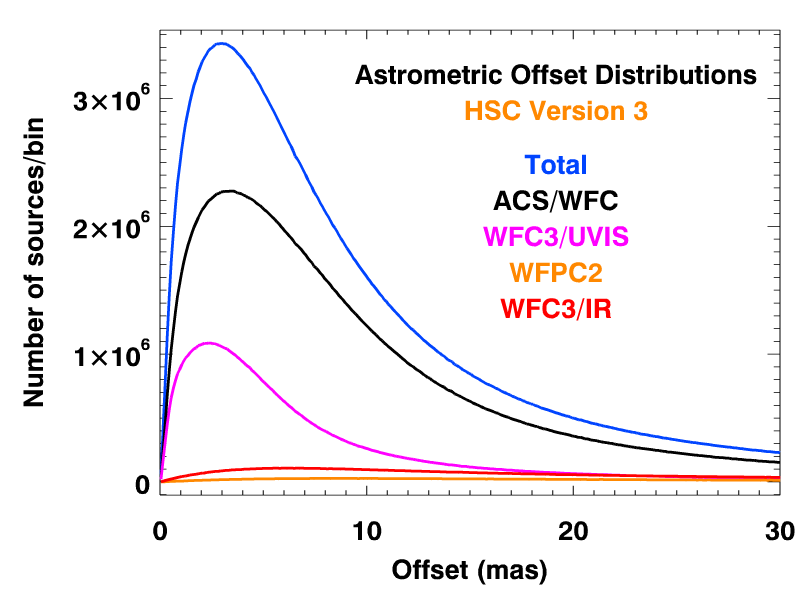 The astrometric offset distributions between mean object positions and individual measurements for the different instruments in HSCv3. This includes all objects with measurements in more than one HST visit. The tail of the distribution for offsets larger than 10 mas is substantially improved in version 3. The remaining tail in this distribution is likely to be mainly due to proper motions. Version 3 of the Hubble Source Catalog (HSC) was released on July 5, 2018. The Hubble Source Catalog is designed to optimize science from the Hubble Space Telescope by combining the tens of thousands of visit-based source lists in the Hubble Legacy Archive (HLA) into a single master catalog. Powerful user interfaces combined with accurate photometry and astrometry make the data suitable for a wide range of science including studies of star and galaxy populations, variability, proper motions, and much more. The source lists include 25% more ACS/WFC images and more than twice as many WFC3 images compared with the HSCv2 release. ACS and WFC3 data that were public as of 2017 October 1 are included (HLA DR10). The photometric quality in the source lists is significantly improved due both to the alignment algorithm used to match exposures and filters in the HLA image processing and to improved algorithms for Source Extractor photometry (particularly near the edges of images). See Figure 1 for an example of the improvement in globular cluster M4. The absolute astrometric calibration is now based on the Gaia DR1 catalog. The relative astrometry is also improved, with a typical scatter for the entire catalog of 3 milliarcsec (see Figure 2). The astrometric accuracy is even better for brighter sources that are not near the 5-sigma catalog detection limit. The scatter in magnitudes is measured using the median absolute deviation (MAD) of the differences from the median magnitude. This is more robust and less sensitive to outliers than the RMS used in previous versions. The HSCv3 is accessible via the MAST Portal, simple web forms, a CasJobs database query interface, and a VO-compatible HSC TAP service. A Jupyter Notebook tutorial for programmatic HSCv3 TAP access is also available for download. Please see the HSC FAQ for additional information or send further questions to the Archive Helpdesk. Updates to two TESS catalogs include epoch 2000.0 coordinates and contamination ratios. Epoch 2000.0 listings for almost all coordinates. This is particularly important for nearby targets with large proper motions. Updates to specially-curated lists of cool dwarf stars and known planet hosts. Contamination ratios for all CTL stars. A complete list of updates in TIC-7 is available through the STScI Outerspace Portal. To access TIC-7 and CTL data through the MAST Portal, first select “MAST Catalogs” from the collection drop-down. The mission drop-down should then contain selections for “TESS Input v7” and “TESS CTL v7.1” (note: selection name is currently “TESS CTL v7.0” but this will be addressed with a patch this week). The TIC and CTL are additionally available in the MAST CasJobs SQL interface, and as direct downloads in CSV format. 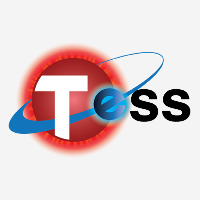 Further questions on accessing TESS catalogs and their contents can be sent to the Archive Helpdesk. 500 Million new sources with 75% 5-parameter astrometric solution rates can now be queried through MAST. Data from Gaia Data Release 2 (DR2) is now available through MAST. DR2 adds another half-billion sources to the original DR1 catalog (an almost 50% increase), with 5-parameter astrometric solutions for over 75% of all sources. MAST is an affiliated data archive for the Gaia mission, which is operated by the European Space Agency. A list of participating institutions can be found here. Users have a number of different ways to access Gaia DR2 data through MAST. Firstly, is the MAST Portal. By navigating to the Portal and selecting “MAST Catalogs” from the Collections drop-down menu, the Mission selection will now have an option for "Gaia (DR2)". From here, one can perform cone-searches around RA/Dec coordinates or object names. In addition to displaying the catalog information, sources will also be displayed graphically in the Astroview panel. Programmatic cone-searches can also be carried out by using our Catalog Services. 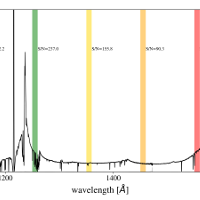 For example, a 0.005 degree search around the coordinate 273, -32 deg can be called as follows: http://gsss.stsci.edu/webservices/vo/CatalogSearch.aspx?catalog=Gaiadr2&ra=273&dec=-32&sr=0.005&format=html A variety of output formats can be used here including html, votable, csv and json. More powerful SQL queries can be carried out by logging on into our CasJobs Interface and selecting the GAIA_DR2 database from the Context menu in the Query tab. To find out which tables are accessible and what their column information is, you can select the GAIA_DR2 database in the MyDB tab. A variety of functions exist in the database to facilitate queries, including cone searches. For example, to perform a search similar to the one above you could write the following in the Query tab: select top(100) F.distance, T.* from fGetNearbyObjEq(273., -32., 0.005*60) F join GAIApublicVOview T on T.source_id = F.objID Users can also upload tables to CasJobs and perform cross-matches across the various catalogs we offer. The Gaia MAST archive results from the European Space Agency (ESA) space mission Gaia. Gaia data are being processed by the Gaia Data Processing and Analysis Consortium (DPAC). Funding for the DPAC is provided by national institutions, in particular the institutions participating in the Gaia MultiLateral Agreement (MLA). 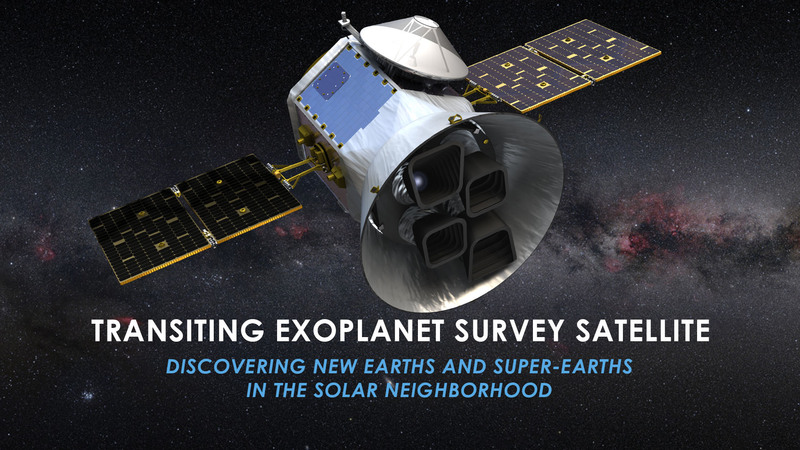 The Gaia mission website is https://www.cosmos.esa.int/gaia. 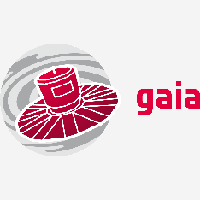 The Gaia archive website is https://archives.esac.esa.int/gaia. Any additional questions or feedback on accessing Gaia DR2 through MAST may be directed to the Archive Helpdesk. Updated High-Level Science Product contents for WFCJ, K2SFF, and OPAL programs. K2SFF has added calibrated light curves from K2 Campaign 16 to their MAST repository. 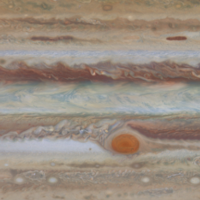 Cycle 25 observations of Jupiter from the OPAL (Outer Planet Atmospheres Legacy) program are now available through MAST. These data include two rotations in 8 filters from April 2018. The WFCJ (Wide-Field Coverage for Juno) program has added an updated "version 2" zonal wind profile for perijove 3, new zonal wind profiles for perijoves 4 and 12, and global maps for perijove 12. Additional details and data download options can be found on their landing page. If you are thinking about contributing an HLSP of your own, please fill out the HLSP Interest Form to get started. HLSPs archived on MAST enjoy permanent hosting space, additional visibility, and, often, increased citation rates. Any additional questions on the process can be sent to the Archive Helpdesk or to archive@stsci.edu. We look forward to working with you!